Banding. Chances are you know the term and have heard about some of its benefits. But what exactly is banding? In packaging, banding refers to the process of using a paper or poly film material to bundle product together or label. Banding is attractive and simple, economical and environmentally friendly. With so many ways to band and an endless array of applications, banding has quickly become one of the most unique and elegant forms of packaging. These days it’s all about the band. If you haven’t hopped on the Band Wagon yet, this article explains why you should. Banding originated in the printing industry. Printers would use leftover scraps of paper “off-cuts” and tape to “band” stacks of paper, brochures and labels together. Envelope and greeting card manufacturers would similarly count and band stacks of envelopes, giving their bundles a nice look as well as securing counts and preventing envelopes and cards from becoming intermixed during shipping. In the envelope industry, the first banding machines were custom “one-of” machinery. As paper banding became more popular in the printing industry, other industries began looking at banding as a way to unitize and bundle items together as well. Automatic banding machines started appearing in the 1980’s, as only tabletop models and still continue to meet the growing demand in all markets and sectors. The ability to hold product together without damage in a production line, for unitizing or for retail-ready purposes has allowed banding to assume its rightful place as a preferred packaging solution. Banding is not without its misconceptions. The most common is the confusion between banding and strapping. Banding is a process used to bundle or multi-pack “internal” products together, therefore eliminating other forms of packaging, or even keep products unitized during the manufacturing process. Strapping, on the other hand, is used mainly for rugged “outer” applications and for shipping purposes. Banding can also be used in retail packaging for branding. Banding offers the option for pre-printing in one to eight colors on high quality material, making banding an excellent tool for marketing and promotions. An optional thermal transfer printer can also be fitted to automated banding systems for on-demand printing of barcodes, logos and variable product information directly onto the band. Finally, banding gives you the “zero damage” advantage. The paper and poly film materials used in banding are wider and thinner than strapping, allowing the band to draw down and around a product without causing damage. Equipment has a wide range of tension adjustment including “fixed length” for precise band size every time. Adversely, the hard, rigid plastic used in strapping can easily dig into the corners of a product and cause damage. Another misconception is the confusion between banding and shrink bands. The main difference between the two is that shrink bands are often manually applied and require an additional heat process to “shrink” around a product whereas banding does not. When it comes to banding technology, ATS-Tanner of Switzerland has set the standard as an international leader. Since 1988, this Swiss-based company has pioneered its way driven by a passion for intelligent packaging. ATS is also constantly working on new ways of introducing products in production lines. This includes up-stacking, down-stacking, counting, collating and ultimately a finished product that is banded. ATS technology is continually evolving to come up with new, innovative solutions that promote efficiency through banding. The versatility of banding makes it applicable for a wide range of industries. From internal plant use to distribution, labeling, retail and pharmaceuticals, banding can be used in virtually every industry. The applications are endless. Banding can also be seen in the retail world. Club packs, multipacks, blister packs and bank notes, are all examples of banding in the marketplace. Unitizing Product An easily removable paper or poly film band is used to bundle product together, usually reducing the amount of packaging used. Material Savings Banding requires less overall material which allows for significant material savings. Labor Savings A conversion to an automated banding system can provide an overall labor savings by eliminating the number of workers in a production line or by increasing the labor efficiency of a production line. Zero Damage The thin, wide construction of banding material allows it to draw down and around product without causing damage. There is a wide range of tension for precise control on product. The Ultra-Sonic Advantage Ultra-Sonic technology offers a consistently strong, reliable seal and allows for the unitization of heat-sensitive products without damage. Ultra-Sonic banding also does not require a heat tunnel therefore reducing energy use and costs. Branding With BandingMaterial can be pre-printed using up to eight colors. An optional Thermal Printing System is also available for on-demand printing. Integration Automated banding systems can be integrated into existing production lines. 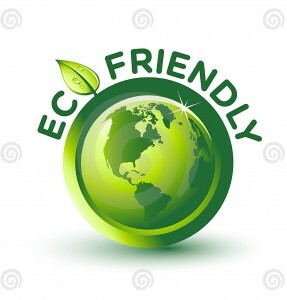 Eco-Friendly Less material equals less waste. Banding machines also require far less energy usage than heat tunnels for an overall reduced carbon footprint. Easy To Open/Handle With paper, easy opening can be achieved by simply tearing the band. With poly film, a simple adjustment allows you to adjust the welding time of the Ultra-Sonic sealing head making the banded product as easy to open as you would like. Banding also eliminates the need for sharp objects to open bundles which can damage the product. Companies implementing banding are reducing their carbon footprint by decreasing their material and energy usage. Let banding help in your conservation efforts! What does the future hold for banding? 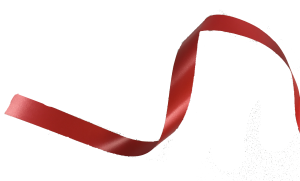 A lot… With the addition of the Drug Quality & Security Act (DQSA) signed into law by President Obama on November 27, 2013, banding could prove to be more valuable than ever. Enacted on January 1, 2015, the DQSA is a new law for tracing, verification and serialization. Among the key provisions are requirements for providing product information at each sale, with lot level information and the placement unique product identifiers on individual drug packages. How does banding come into play with the DQSA? Banding is a one-step process for bundling and product identification. The thermal printer option allows for the preprinting of barcodes, lot numbers, expiration dates and serialization on bundles of product as they are banded. The versatility of banding allows you to bundle and print whatever you need in 2’s, 3’s, or 4’s. How do you hop on the Band Wagon? The first step is to have your specific application need evaluated. We suggest a conversation with a Wexler professional. Companies pursuing banding can also arrange for samples to be sent to Wexler Packaging Products to be banded and returned for review. To make arrangements, please call (800) 878-3878. Join in the packaging movement that so many have already benefited from. 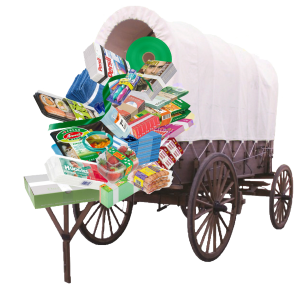 Hop on the Band Wagon! About Wexler Packaging Products, Inc. Headed by Packaging Pioneer Pattie Wexler, Wexler Packaging Products, Inc. specializes in primary and secondary packaging, selling everything from hand applied self-seal paper bands to fully automated banding machines and materials.  In banding, Wexler proudly represents ATS as an equipment & materials partner covering 40% of the United States including Puerto Rico. For more information, please visit www.wexlerpackaging.com.